When it comes to gaming headsets, Astro is king to the throne. Its A50 model is considered a standard for most eSports players around the globe. Every time the company releases a new line or model, it automatically becomes the must-own item for any gaming console. With the next-gen systems celebrating their one-year anniversaries this winter, Astro has decided to go bigger and better by updating its most popular product to date in the A50 headset. The original model was critically acclaimed for its luxury comfort and sound quality. Gamers will certainly see a difference in design with the newest model. But what about overall performance? Will they be able to hear or tell the major difference between the two? 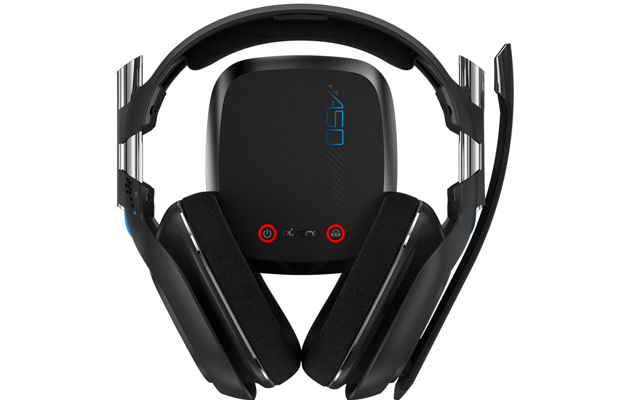 We put the new Astro A50 to the test to see if it’s really worth the investment. Astro headsets have always carried a very unique design. The big ear cups with the thick and sturdy head band are pretty much signature at this point. 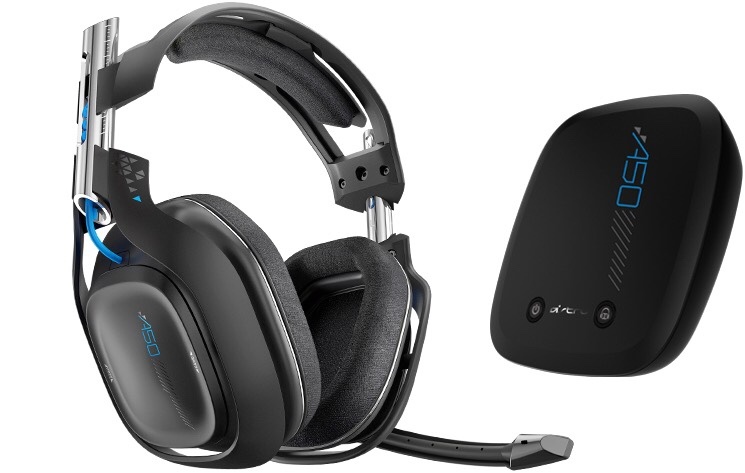 But this time around the A50’s have a more sleek and sophisticated look to them. When you take the headset out the box, the first thing you will notice is the new color scheme. The headset is black with steel around the ear cups and the head band. Thought what catches the eye is the royal blue wiring throughout the frame. On the bottom of the transmitter you will also see royal blue on the front with the Astro logo. If you’ve ever owned later additions of the companies’ headsets, you can see how the build and size has truly been revamped. They look slimmer and are not surrounded with so much of that thick black plastic, which has been removed and replaced with steel that connects everything together. With the steel in place, build quality is much better then previous deigns. Before it was pretty easy to crack or break the sides. We ran several drop tests and nothing cracked or broke in the process. After releasing the first version, most of us foolishly thought the sound quality couldn’t get any better. Guess again. When I say the sound is clear, we’re talking crystal here. With the support of Dolby Digital 7.1 surround sound, you can hear every little movement in the game. While playing Destiny, we noticed the slightest audio details from the loadout screen noise such as wind, footsteps and other ambient noise. Hearing an enemy’s footsteps before actually seeing them is a huge advantage, especially in shooters. Now many have had their doubts about the sound because the headset is wireless, saying it can cut down the quality, or interpret it. Powered by 5.8 GHZ wireless technology, along with the wireless MixAmp, the A50 provides more range without jeopardizing the output. I walked around my living and stepped into another room without any interference. It has the same sound quality I had when sitting right in front of an HDTV. The company also worked along side some of the industry’s biggest pro gamers to integrate Astro Audio into the new headset, giving casual players the same sound presentation that most professionals take in. Comfort is a must with any headset. Players tend to have all-night gaming sessions and the one thing that upsets them most other than serious lag is a cramped-inducing headset. While playing for about 5 hours, my ears didn’t feel numb, nor sweat for the most part. Not once did I have to adjust them, which is normally through mid-game because the first version was too heavy. The new A50’s are so light that I actually forgot I had them on my dome. The ear cushions are lightweight and have soft fabric to absorb sweat, keeping all hands on the controller and not using them to wipe perspiration off your ears. Players had issues with the first-gen model complaining there was no removable battery and that battery life wasn’t sustainable. The newest version doesn’t still does’t offer the latter. However, Astro’s included a battery saving mode that will turn off the headset within 5-8 minutes in order to save vitality. A cool concept, though the headset shuts offs even if you’re in a chat. While on a PC, I used what is called Curse Voice to chat with others that are not playing the same game as me, but noticed while staying in the lobby of a game the headset assumed I was in-game and didn’t turn off. Now on the PS4, I was just in a part chat (not in a game) and within a couple of minutes my A50 turned off. This become annoying, forcing me to turn on the headset again just to be knocked off in a couple of minutes. What I’ve noticed is if you want to get the most of your battery, let it completely die before charging it. Wait until the hear headset beeps, then turn them off and charge. Don’t hook up a USB cable to charge them as you play, as all your doing is decreasing its battery life. It won’t get a good charge. Remember the headset is almost out of juice and all you’re doing is giving it the bare minimum of power while still playing. When the first-gen A50’s hit the market, the company listened to all feedback and applied the necessary upgrades. The updated design adds more sleekness to the device. But it’s not just all about the looks. It’s more lightweight than the previous model, which saves players from experiencing sore and sweaty ears. Wireless capability has been made stronger, so there’s no need to worry about being disconnected from your system. The sound quality behind the 2nd generation model is an improvement as well, with the company taking tips from the pros. 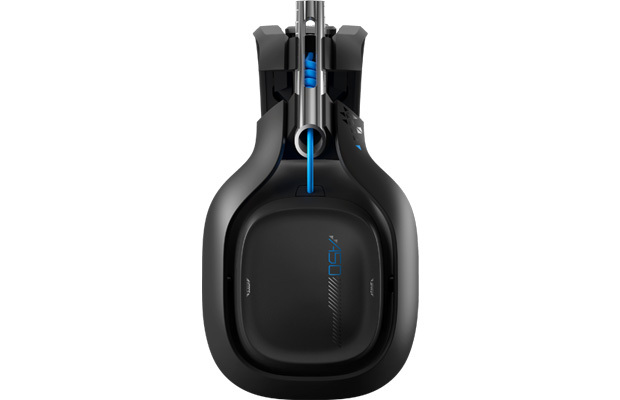 If you can get past the battery saving mode, and the fact that there is no removable battery, you’ll find that Astro Gaming’s next-gen headset is a the perfect companion for your PS4.